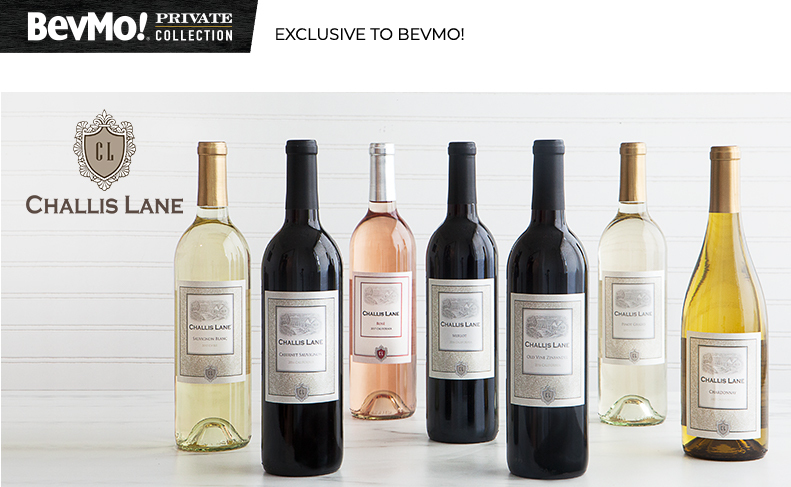 Challis Lane produces award-winning varietals from the heart of California’s wine country, including many exclusive blends you’ll only find at BevMo! Renowned for maintaining consistent quality with every vintage, Challis Lane boasts ripe fruit flavors that pack a punch. Elegant, flexible and easy to drink, Challis Lane is perfect for serving at parties and pairing with your favorite foods. Enjoy everyday affordability on some the finest handcrafted wine on the West Coast. Tasting Notes: Black cherry, blackberry and a hint of violet on the nose. Ripe and generous flavors of clove and black currant. Tasting Notes: Aromas of lemon and melon with toasty oak notes. Crisp flavors of subtle apple finish with refreshing acidity. Tasting Notes: Scent of black cherries and sweet herbs. Jammy on the palate with plush tannins and flavors of cherry and ripe plum. Tasting Notes: Concentrated aromas of black cherry and toasted oak. Fruit-forward flavors are dark and jammy with a long finish. Tasting Notes: Light floral aromas lead to a medium-bodied palate with notes of honeydew and nectarine. Finishes crisp and clean. Tasting Notes: Aromas of watermelon and nectarine with flavors of strawberry and stone fruit. Light-bodied and refreshing. Tasting Notes: Enticing aromas of citrus and cut grass. Refreshingly crisp flavors of nectarine and honeydew with a zesty finish.